Finding clothing based on your favourite video game franchises, especially ones like Pokémon, isn't always easy as an adult, especially when most designs available can be a little childish or in your face in nature. This new line of shirts could be just the thing you've been looking for, though, and orders are opening very soon indeed. The designs have been created thanks to a partnership between The Pokemon Company and Original Stitch; the range goes by the remarkably apt name of 'Pokémon Shirts'. Eventually, 151 designs will be available - coinciding with each of the original Kanto Pokémon - but the range will start with just a chosen 20. Those 20 will be part of a special pre-order window next week from 26th - 28th January; the true release is actually scheduled for February. You can check out all 20 of these designs at the official site - the usual fan favourites like Pikachu, Eevee, Bulbasaur, Charmander, and Squirtle all appear. It's currently unclear whether or not the shirts will ship outside of Japan - western buyers may well have to find extravagant import solutions - so fingers crossed we're treated to some options. 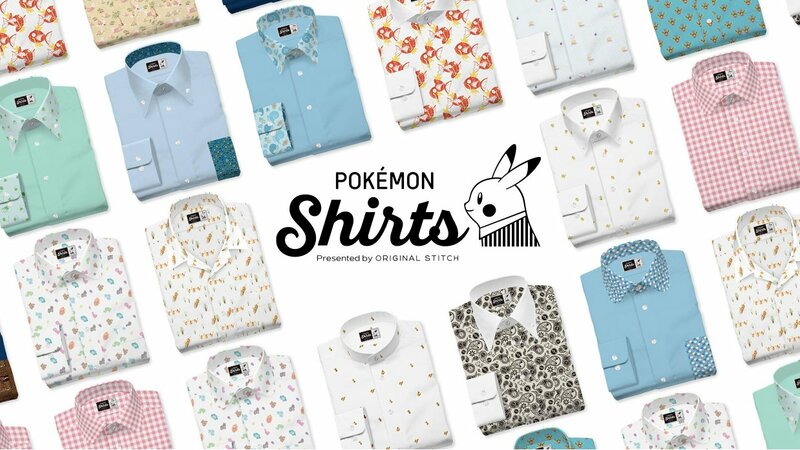 The Pokémon Company has shared an advert for the shirts, once again poking at your nostalgia to make you splash out your real life Poké Dollars. It's surprisingly epic, to tell the truth, and well worth a watch. What do you think? Would you wear any of the designs featured? Let us know if there are any you like in the comments below. These gonna be available for uk as well? Some nice designs. Raticate shirt is certainly my favorite. Cute and all, but where really would a self respecting human being be able to wear this? It's not like it's a onesie or feckin underwear or something. Like, what occasion where I have to wear a shirt is it going to be respectful to wear a Pikachu themed shirt? This can become a massive hit. Especially knowing that designs can be endless with all the Pokémon available. The way the franchise is expanding is now great to see. They are kinda aknowledging their older fans more and not just the kids of today. Much nicer than the usual rubbish from the likes of Insert Coin. @ALinkttPresent It looks like you can have your chosen design covering the whole shirt or just the pocket. Again, it's unclear at the minute whether there's more to it than that - the official site is intentionally vague at the mo - but it talks about shipping times taking longer than usual thanks to individual customisation. I really wish these were more easily available outside of Japan. I'm not a huge Gen 1 fan and I think a lot of the Pokémon are overrated, but I would totally buy the Farfetch'd one! It's easily one of my favourite Gen 1 Pokémon for its design alone and it's so underrated, even for a 1st Gen Pokémon. Wish you could do the back and the sleeves so that you could still wear it at work, as it would be hidden. Then if you take off jacket....Boom Awesomeness. My friend has one with Rupert the bear like that and I am forever jealous. What's the point of licensed merchandise like this when most of them require a really close look before anyone can even tell what the designs are supposed to be? I would not mind wearing that to work (would love it). Some of the designs are subtle enough that most people wouldn't know they're Pokemons unless they observe it close and have some knowledge of the franchise. Side note: watching that kid use a Charmander to fight an Onix bring back memories. I know way better now, but Pewter City was my second reality type check back then, first being Cerulean City's gym. @frabbit You could probably wear this to work just fine if you work in IT or some trendy start-up company. Or, y'know, game development. those look really nice to wear. i'll have to wait and see about them coming to the west. At school. I am a teacher at a Sen high school and It is well known by the students and staff that I have a major passion for computer games, its also a great ice breaker and common interest for certain students who struggle with their behaviour and learning in breaking down certain barriers. I also run a lunch time Xbox/gaming club three times a week, where the students get a chance to play Minecraft, Fifa, Smash Bros and other team building games. I would love these shirts, permitting the prices are not too steep =D. Some of these patterns are really nice. That Kakuna one is outstanding. @marston1983 you are the teacher we all needed. Props. These are gorgeous and I'd definately wear subtle designs at work. Could totally see myself wearing any on a night out and even a smart restaurant. They are stylish and quite lush. Why Shirts though? Couldn't they have done something cooler like hoodies, jumpers or jackets? These look like I'm going to work like that advert and I can easily say: I'm not a salaryman. These will sell wonderfully in Japan....what could possibly look better beneath Suit Jacket Standard Model 01? Wow! These shirts are so fetch! I can actually use this as work for formal Wear. I wish I had more gaming clothing that looks so neat and stylish (and I hate wearing t-shirts, button up shirts are all I use, formal and informal). Ok who lives in japan and wants to work out a shipping system? Wait this company is in cali...I hope they bring this to the US. I'm going to go broke buying these. I'm a oxford dress shirt and pants suit kinda gal so this is right up my alley. @BulbasaurusRex That is the point. It is a way for a person that may have to wear professional dress to still geek out. Especially since you can customize them. Like the guy in the commercial, if he wore his blazer nobody knew what he wore (but he did which can be the point more than anything when your clothing choices are restricted) until he was off work and walking around. they're weirdly subtle, they look normal or nothing fun until you look closely enough. @Ryu_Niiyama Then there's no point in spending so much extra money on licensed wear if you're the only one who knows about it. The whole point of "geeking out" with your clothing is to show it off to other people! @BulbasaurusRex Because if the designs were and larger, the shirts would be gaudy. 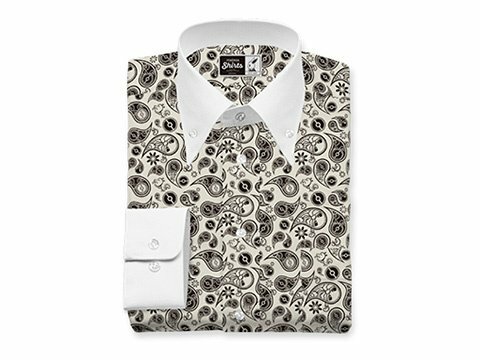 From a cursory glance, I'm still having a hard time finding one that's not considered "tacky" so that I could safely wear it even in the most conservative positions and I would still like to know how the shirt quality compares to, say, a good standard Jos A. Bank dress shirt. Would love to see this be possible in the work world, though. These are really nice and I’m glad they’re subtle, it’s a bit hard to wear some merch without it looking a bit gaudy. @frabbit if people give you odd looks it's a them problem. Wear what makes you happy. Omigod, omigod, omigod! My poor, poor wallet. 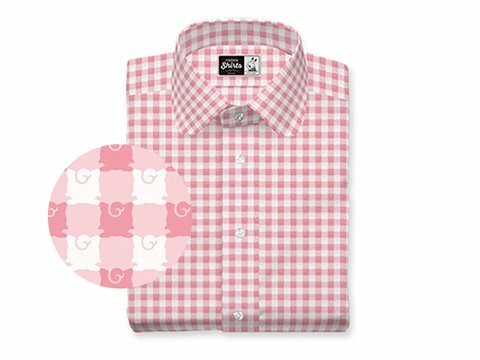 I wear dress shirts all the time so this an absolute Godsend! No-one will even know it's a Pokémon shirt unless they bother to inspect it up-close, and they're so beautifully, beautifully designed. I never thought I'd ever want something like this. I would much, much rather wear something like this than a run-of-the-mill licensed tee. Discreet fashion for the Pokémon-loving gent. I'll take 807 of 'em! I'll be crushed if these are exclusive to Japan. 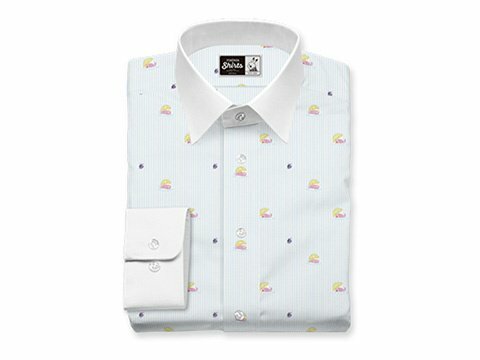 EDIT: I don't think I would ever wear any other dress/formal shirts again if I had these. @BulbasaurusRex agree to disagree. I don’t buy anything to showboat for others. Such a notion is petty and narcissistic. And only the person buying it can decide if it was worth it to spend the money. Half my clothing is stealth geek because I work in an office with a dress code. Also after a point I don’t want to dress like a 17 year old with logos and flashy graphics everywhere. However I adore little ways to indulge my personality and nostalgia because that brings me joy. Not a single coworker has a clue. These look awesome. I definitely want to rock the Slowbro one on a beach/boat. If there's a dress code or otherwise call for conservative dress, you just don't wear licensed stuff in the first place. You save the cool licensed gear for casual time, and some kinds of nicer collared shirts are still suitable for casual wear. The Magikarp one in particular would be great for such a thing. 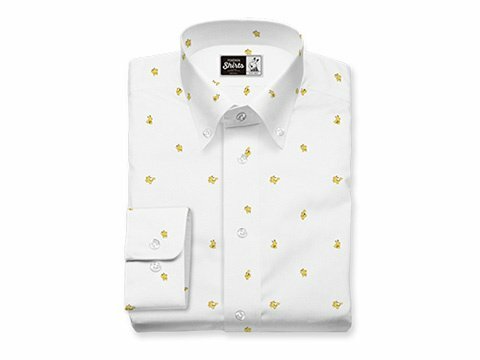 @frabbit They're casual shirts for the most part so any time outside more formal events? They're certainly more appropriate than the plain t-shirt in your profile picture. Hell, even the formal events, some of them are fairly traditional designs like gingham and you can barely notice why they're pokemon shirts. @BulbasaurusRex "They'd actually be cool and recognizable for what they are." Amongst our crowd? Yes, for sure. But here in the Southern U.S., if it's even remotely attached to a children's game, that's grounds for social ridicule despite the dress code or whether it's a professional/casual setting. Some of these look really great. Some of them you could even wear to an office... only close co-workers would be able to recognise that it's a Pokemon pattern. Gotta watch out for Japanese/asian sizing though. If you're able to purchase it, make sure you check the measurements. Their version of L can be more like M or even S in in a western country. @beyondfate haha what? More appropriate for what than the plain tshirt in my profile picture? I think I touched a nerve. I don't like the shirts for an adult, I'm happy you do. @frabbit Oh, I don't care either way. they're both shirts and I've seen worse in an office. I'm just pointing out the obvious that you can easily wear these shirts in situations where you wear yours. @AxeltheBuizel Ha! We think alike. Gen 1 is overrated but Farfetch’d is my favorite Pokémon of that generation. I’d buy the Farfetch’d shirt in a heartbeat!